In honour of SA National book week 2017, I thought it would be a good time to kick off our monthly book club! Yay, finally. 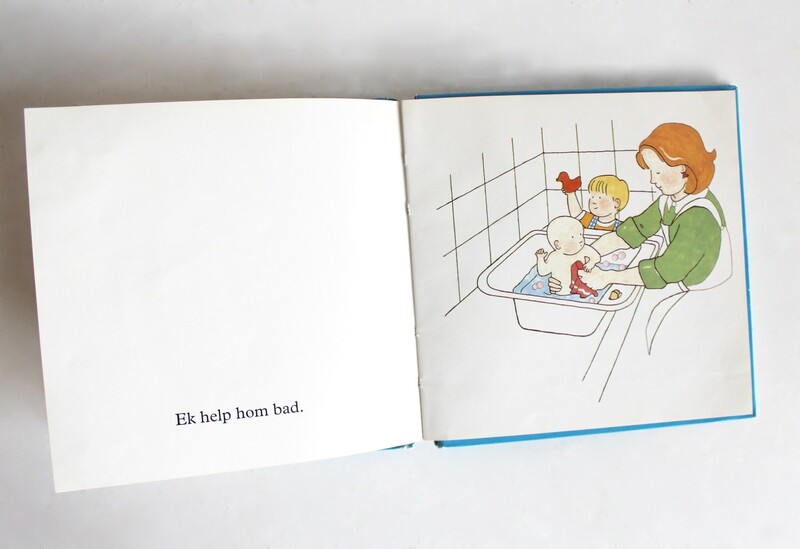 Being a reading family, books have come in handy more than once, assisting us in parenting better. 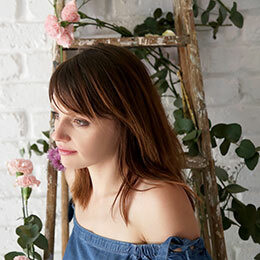 Not that we read a lot of parenting books, I’ve found they make excellent flower presses and paper weights – maybe I’ll get to reading one once my grandchildren arrive… No, rather as parenting aids, helping our girls cope with all the changes and challenges life throws their way. Die Nuwe Baba – Ruth Young (Hardcover) This little gem is out of print and a hard one to find, only available in select bookstores. 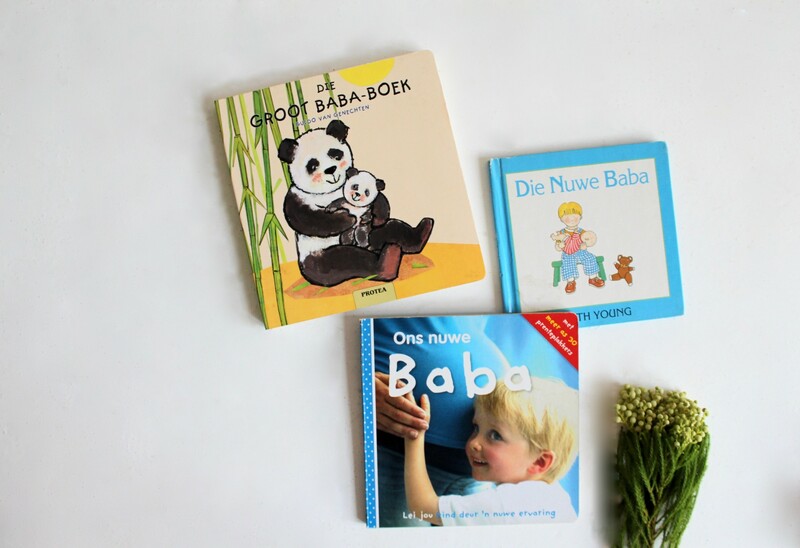 Die Groot Baba-Boek, Die Nuwe Baba and Ons nuwe Baba are all primarily picture books consisting of simple pictures and short sentences. Perfect for young toddlers. 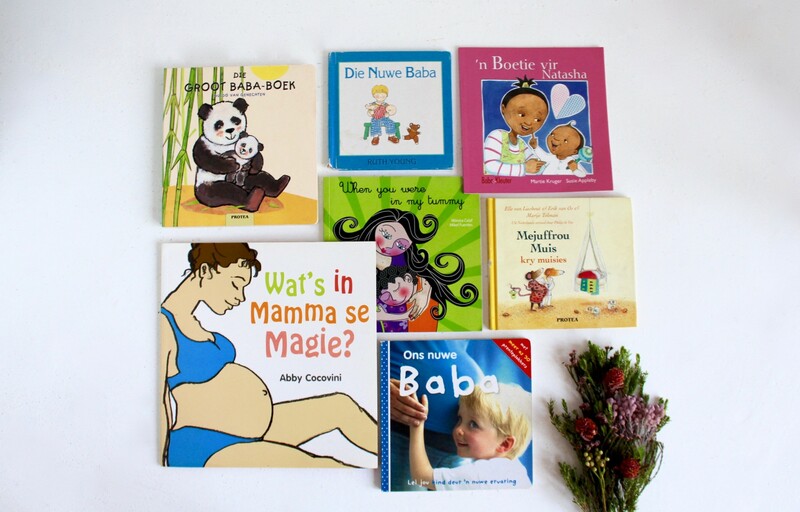 Die Groot Baba-Boek shows various animal babies (a toddler fav) and also a human baby. A lot of the baby animal characteristics are similar to human babies such as calling to the mother (crying), being fed and more. We enjoyed explaining this to the girls. They understood how dependent a tiny is, especially on their mommies. 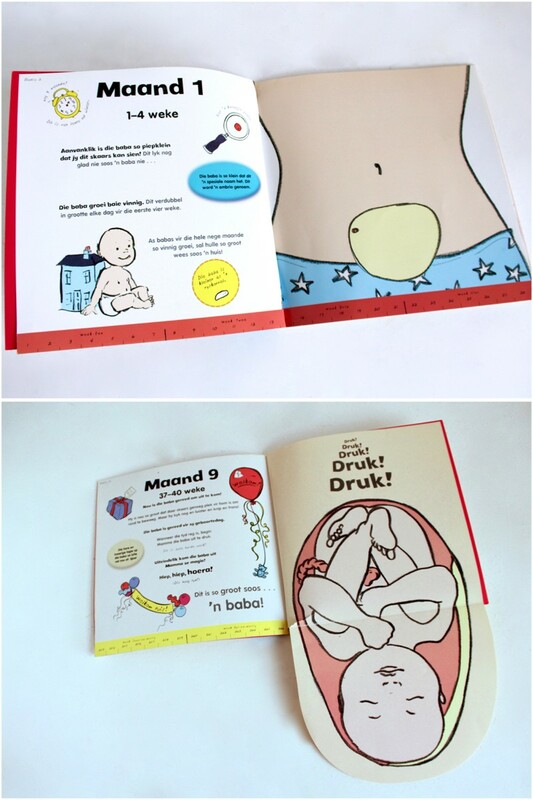 The cute illustration made them happy and who can resist cute baby animals? Being hardback makes it the perfect book for “self-reading” too. 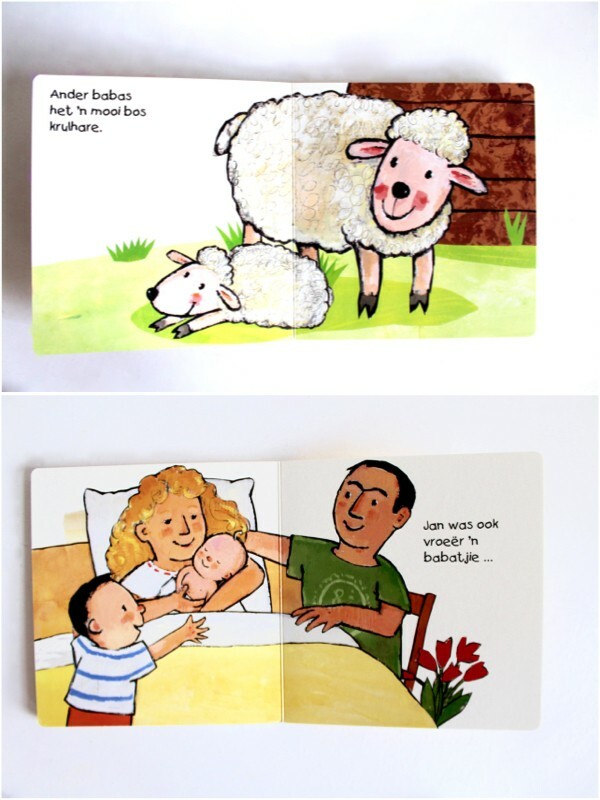 Die Nuwe Baba is very basic from illustrations to story. Also making use of very short sentences with simplistic illustrations free of detail and distraction. It follows baby’s daily routine once Mom and Dad arrives back home from hospital. 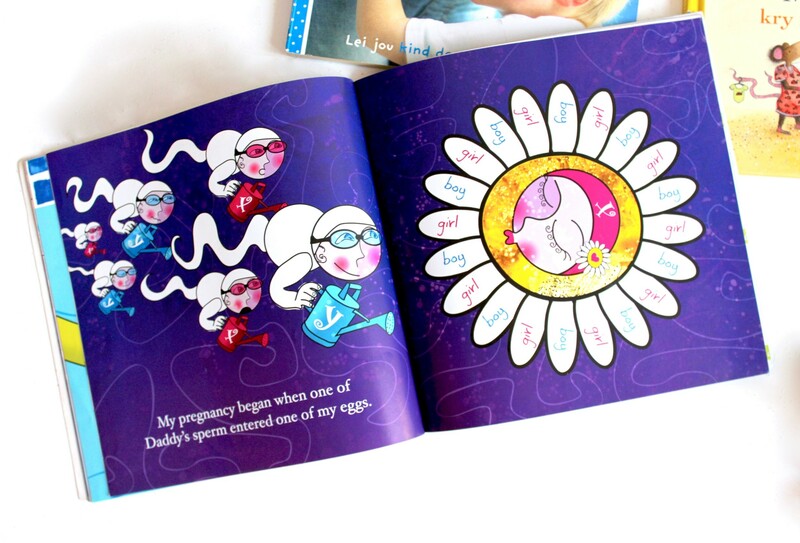 Discovering what a day in baby’s life would be made the girls excited, especially the opportunity to help bath baby… This story was easy to remember and both Eliana and Lia enjoyed “reading” it back to us. 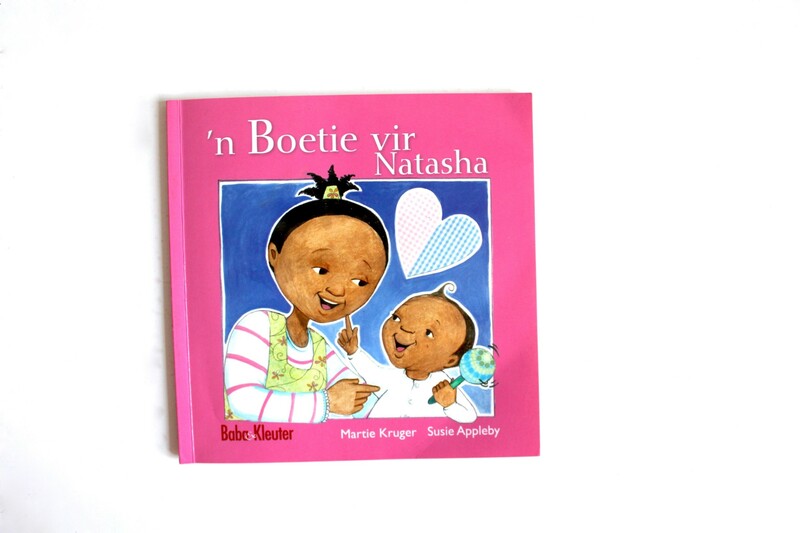 Another hardback book is Ons Nuwe Baba. 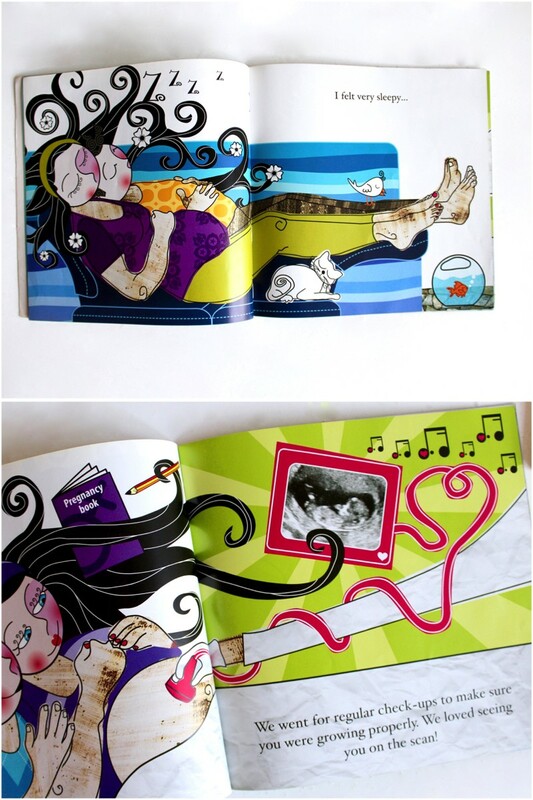 Filled with photos instead of illustrations this book takes us from finding out about Mommy’s pregnancy to preparing baby’s room, visiting the doctor, staying with grandma on the day of baby’s birth and finally meeting baby. 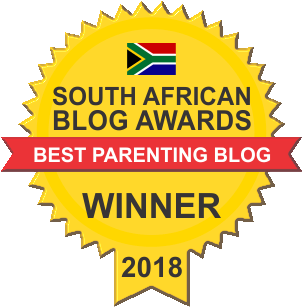 It helps parents lead little ones through this new experience, step-by-step and includes fun reward stickers to give to your toddler as things happen. 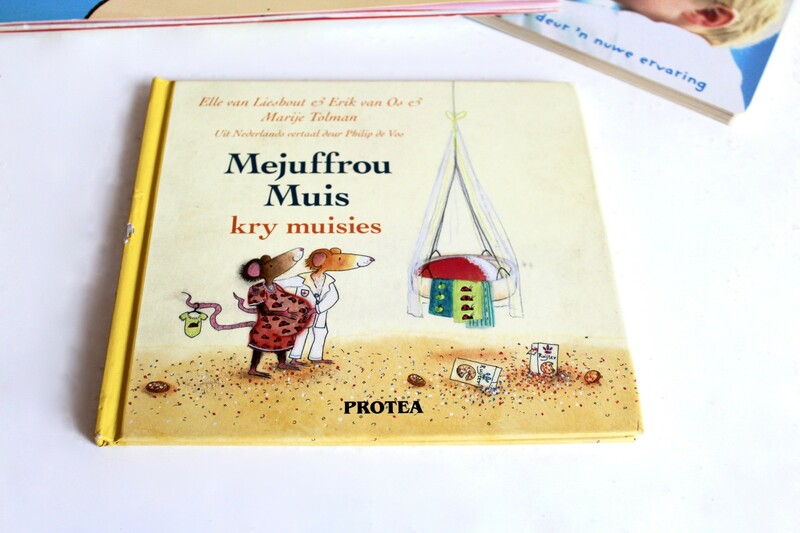 Another good read is a book I received with a Baba & Kleuter a few years ago; ‘n Boetie vir Natasha. I love how the writers make use of the seasons to give little ones an idea of how long a pregnancy is. We have a few trees in our garden and the girls knew that Ava would arrive as soon as all the leaves had fallen and it was cold, in the heart of winter. 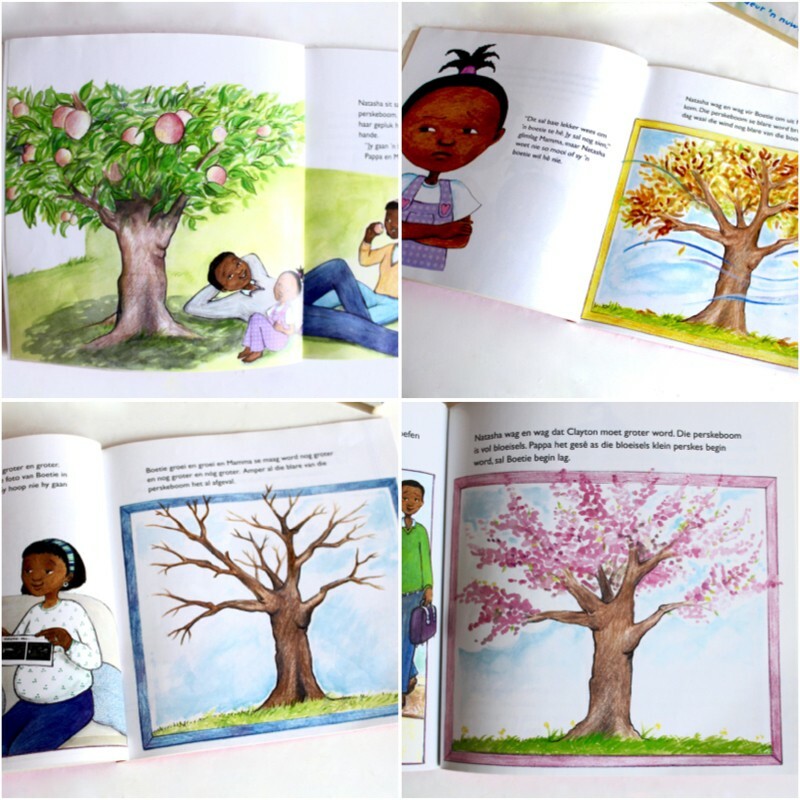 At the back of the book they also include a section discussing how to use the book in better preparing siblings and overcoming possible obstacles. They touch on those early days of newborn life and what baby will really be like. How, at first, a little brother or sister might not be the friend and the playmate so eagerly expected. 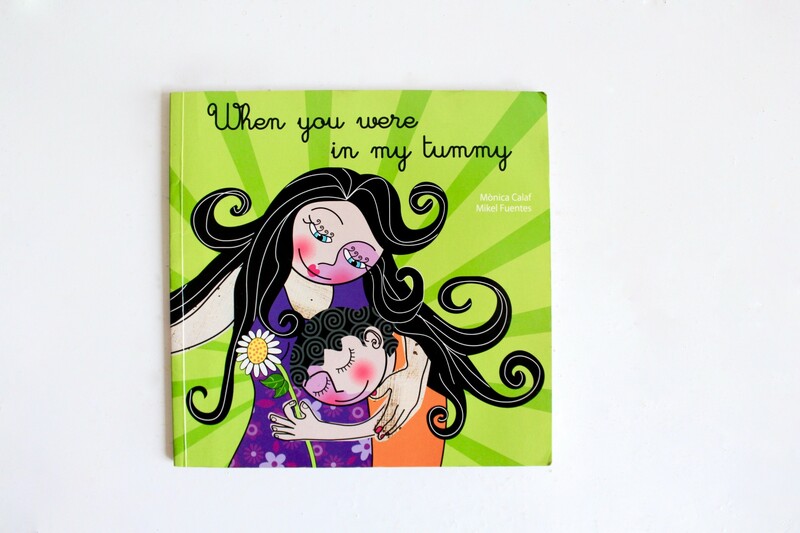 When you were in my Tummy is an interesting publication I stumbled upon and forms part of an entire series dedicated to pregnancy and parenting. Authors Mônica Calaf and Mikel Fuentes digs into every aspect of pregnancy from conception to birth. Revealing all the emotions and “symptoms” mama might be feeling. It helped the girls understand what I was going through and how my body was changing and “making” this baby. No one got worried or upset when I was feeling a little emotional or tired, I was just being pregnant. It does however mention more “advanced” topics very young children may not be ready for yet, but we just skipped those parts. We will revisit these pages one day when it’s time to discuss the “bird and the bees”. The illustrations are amazing and completely different from the usual. It has a Mexican feel and the girls loved the bright colours. Having longer sentences meant more concentration was needed but with the detailed pictures to look at and discuss both Eliana (5) and Lia (2) enjoyed it. We liked the variation it brought to this story collection. 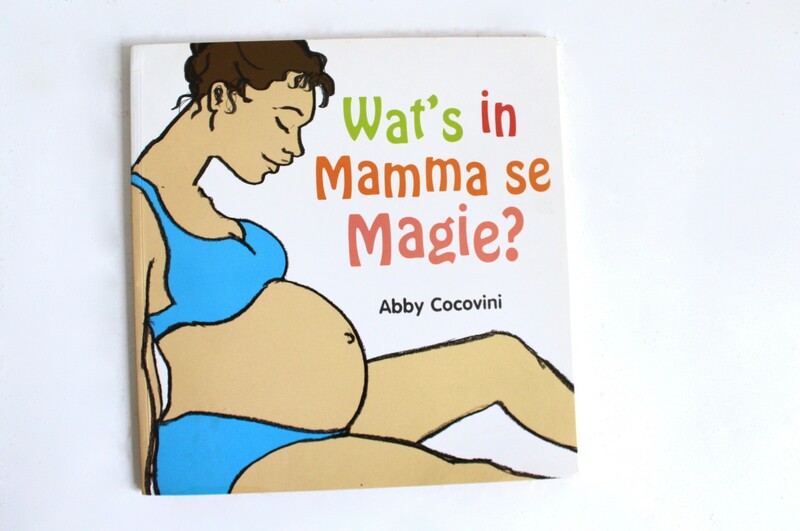 Wat’s in Mamma se Magie? Eliana 1st found a copy of this book in our doctor’s office when I was pregnant with Lia. I remember her rushing to the book basket, frantically searching for it and carefully “reading” it. This happened during every appointment. We knew she needed her own copy and she still adores it to this day. Describing every month of pregnancy, it goes into the details of baby’s development. From size to exactly what’s happening to the baby inside mommy’s stomach, development of sight, hearing, body parts and more. The girls enjoyed the comparisons in baby’s sizes to different fruits and veggies the most – we had 9 months of produce being held up to my tummy with Eliana and Lia explaining to anybody and everybody about our baby being the size of a pea, apple, orange… This book has a killer grand finale with a lift-and-look picture of a life size baby. WOW! We read this book for 9 months. Discussing and examining each month closely. 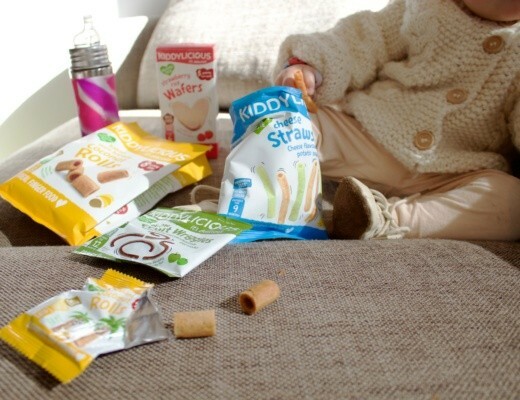 It is a family favourite and our #1 choice, I highly recommend purchasing it. 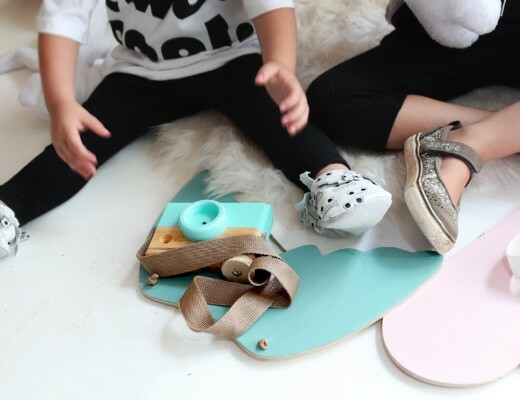 It is sure to be a hit with you and your littles too. I’m always looking for more literature on this theme. 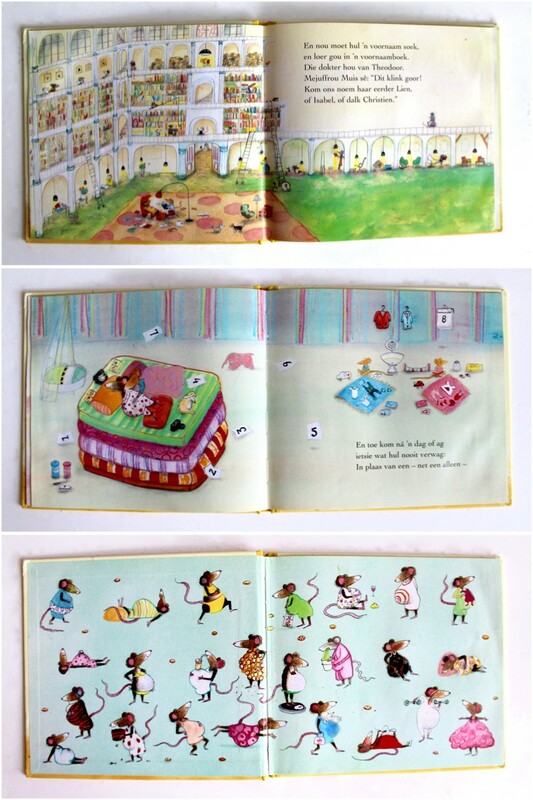 Do you have any “baby books” you read to your little ones. 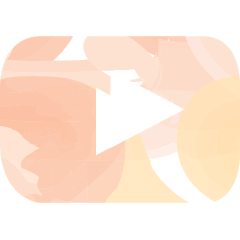 Please leave a comment below and share your favourite ones with us too.